I am a model from Leicester with lots of experience in a variety of shoots. I now live in London. I get a thrill out of working with photographers to achieve a particular shot that conveys a certain message or emotion. Modelling is currently my hobby, but I am looking for paid work with fun themed shoots. I am willing to work with MUAs, professional and inexperienced photographers to achieve desired shots. I would describe myself as very patient, versatile, a perfectionist, determined and enthusiastic. I believe my best features are my eyes and long hair, but I will leave you to make your own opinion. Message me if you are interested in working with me. Please include details of: when and where you were thinking of doing the shoot, any ideas you have, proposed duration, a bit about yourself and method of payment/rates you are willing to pay (ideally I would be paid, but am willing to work for images as an alternative payment for the meanwhile; providing they are good quality images). I will respond promptly to any messages and let you know whether what you propose sounds feasible. 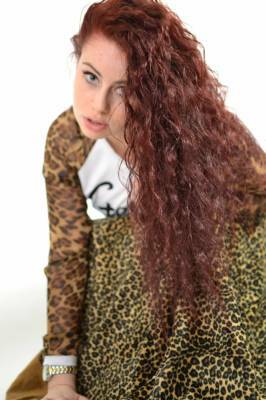 If you liked my photos, please like my Facebook modelling page- type 'robyn model' into Facebook. Thank you for taking the time to read my profile. I look forward to working with some of you.